We Fit so Perfectly Together, and He completes ME! He is the Calm to my Crazy…. The Left side Computer Brain to my Right side Artistic/Eccentric Brain….. But we both Love Nature, Hiking, Music and much more! 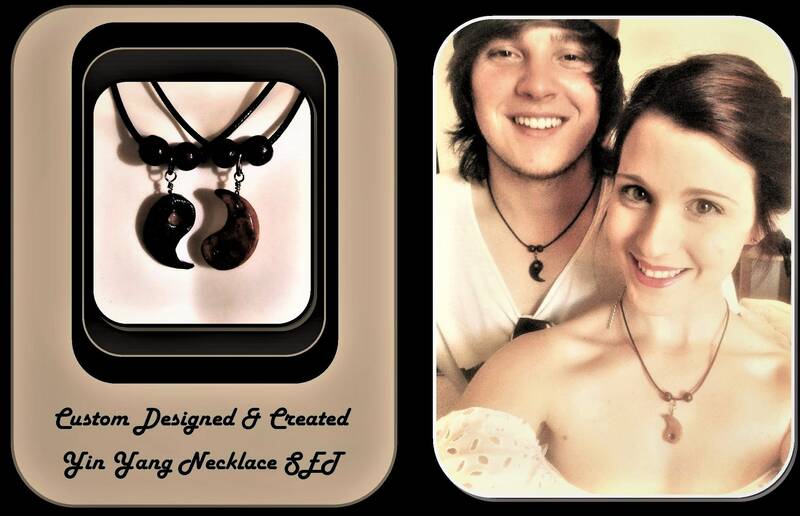 Do you know Someone who is the Yin to Your Yang! 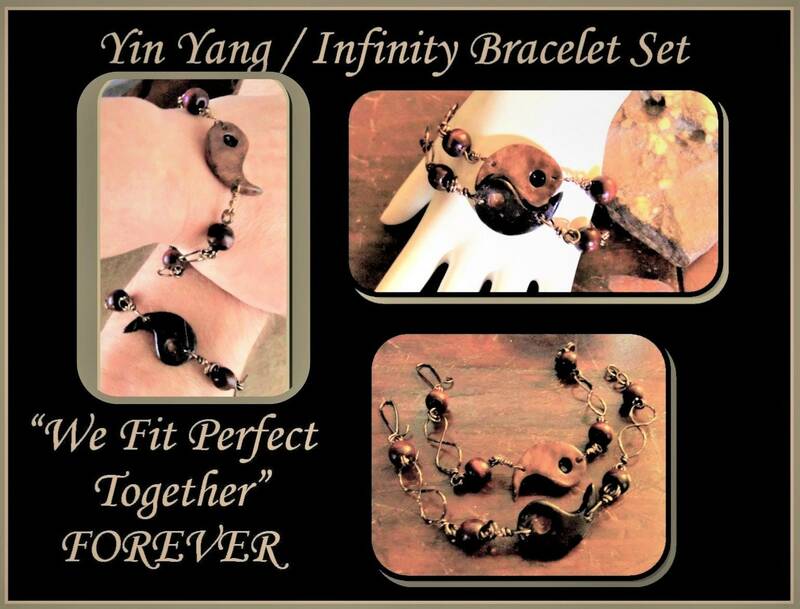 ~~~ Yin Yang Bracelet SET ........... can be worn Separate or Together! 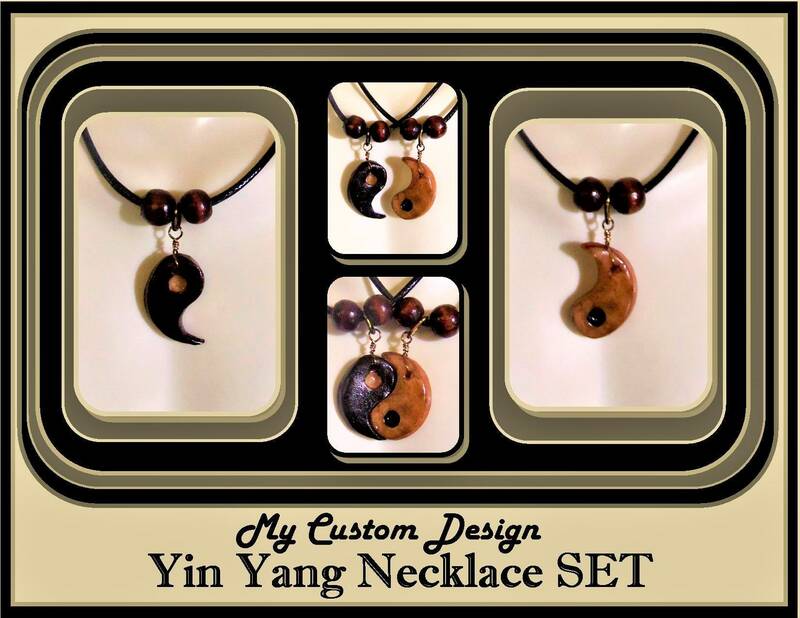 ~~~ Yin Yang EARRING SET that matches my Necklace set! 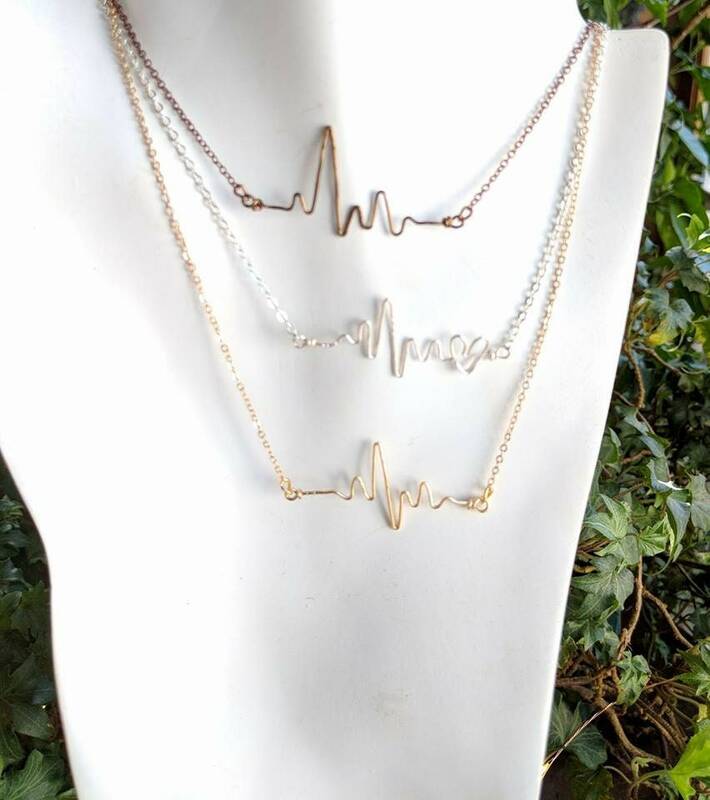 One piece for each ear!!! 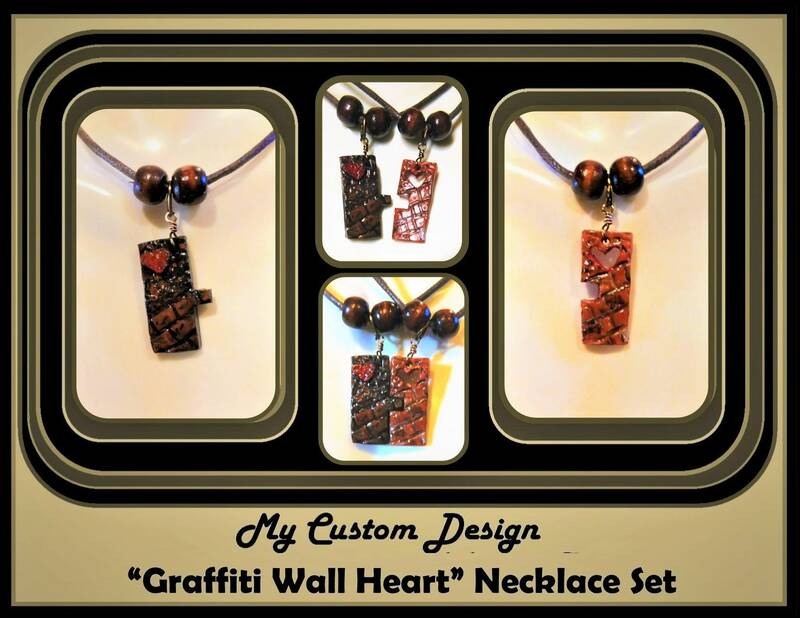 I can create them Into a necklace SET for you! 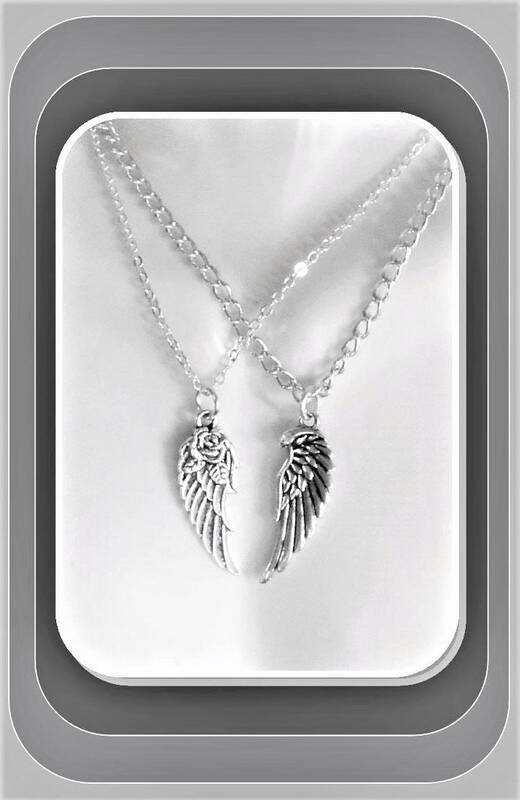 Just Message me for a listing! 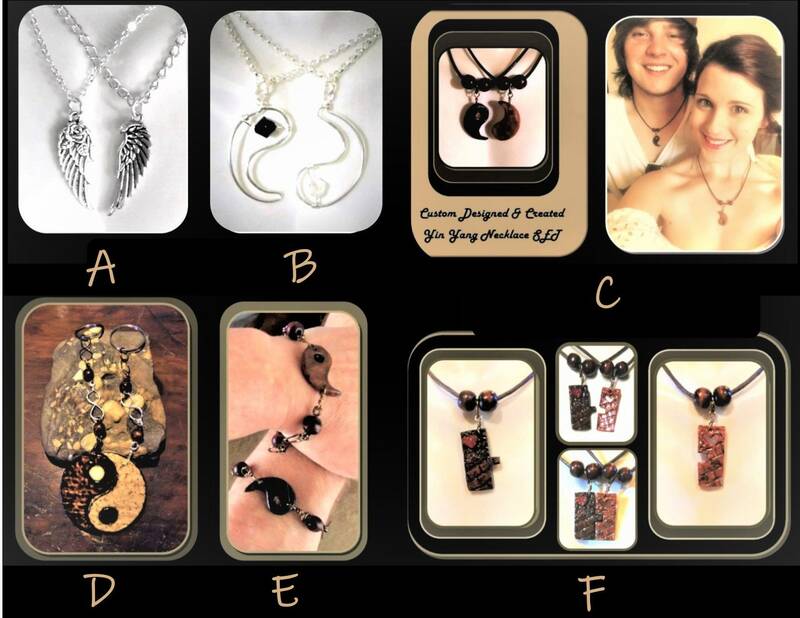 The designs, creating a light and dark pair! The piece is clear coat sealed for lasting beauty. Colors Earthy and Zen in feel! Father Daughter , Father Son, Grandfather, Grandmother, and more!